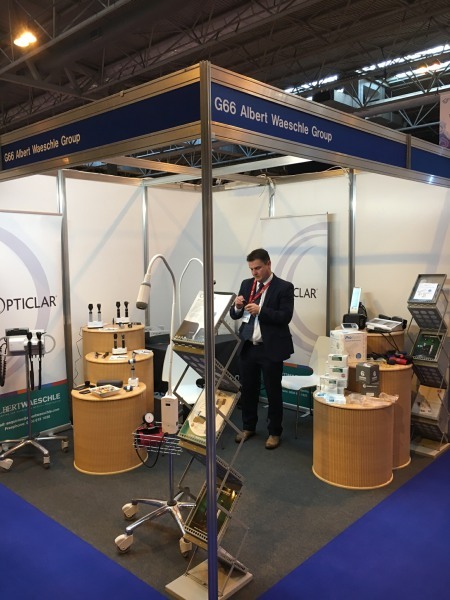 Albert Waeschle attended the Best Practice 2016 Show to promote the OPTICLAR brand directly to the Primary care markets. We were delighted with the feedback and further confirms OPTICLAR is the most innovative brand on the market. The product features that have been specially developed with the user in mind have proven to be extremely popular. The new Flexi 10 Examination light with its’ infra red on/ off facility was particularly well received, with a number of trials arranged for further inspection.